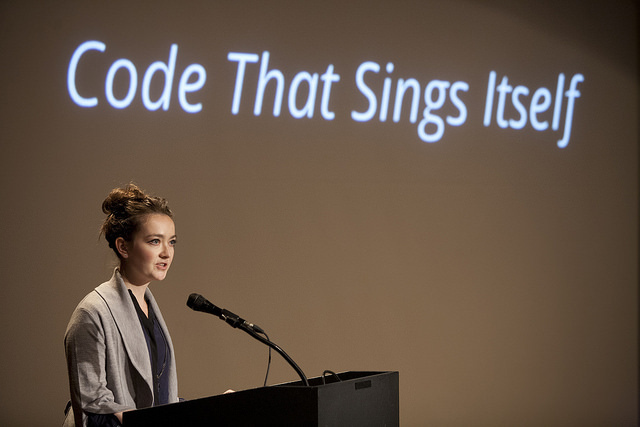 On November 1, 2013 400 people gathered for the LISA Conference in Tishman Auditorium at The New School to hear from 35 artists and curators working at the intersection of art and technology. The conference consisted of 17 Lightning Talks, 4 panels and an afterparty featuring visuals by Scott Draves and the Electric Sheep. With an equal number of male and female tech artists speaking, LISA is one of the few gender-balanced tech conferences in existence. Check out our photo highlights or watch our videos. Stay tuned for next year’s conference!